ZION NATIONAL PARK – Fall shuttle service for Zion National Park and Springdale sees a schedule change Sunday, reducing the number of shuttle runs but continuing service through Thanksgiving weekend. 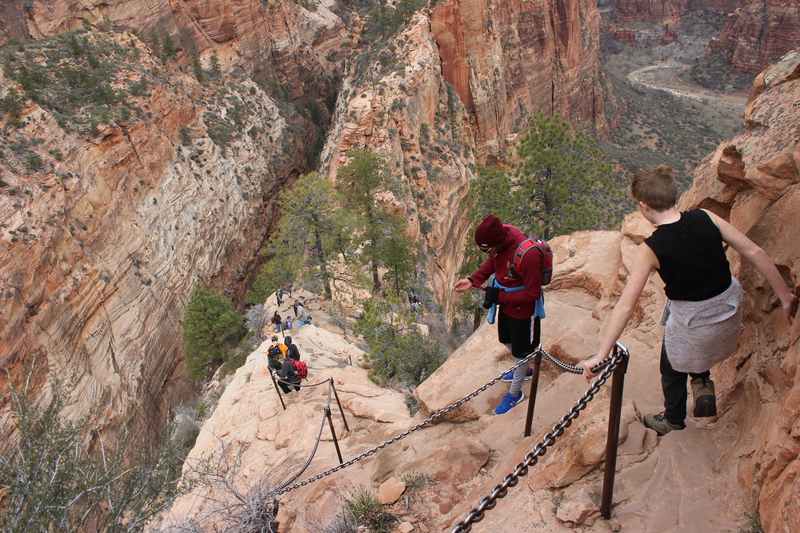 Additionally, the park will resume its helicopter removal of toilet waste from Scout Lookout on the Angels Landing trail Tuesday, resulting in temporary trail and road closures. 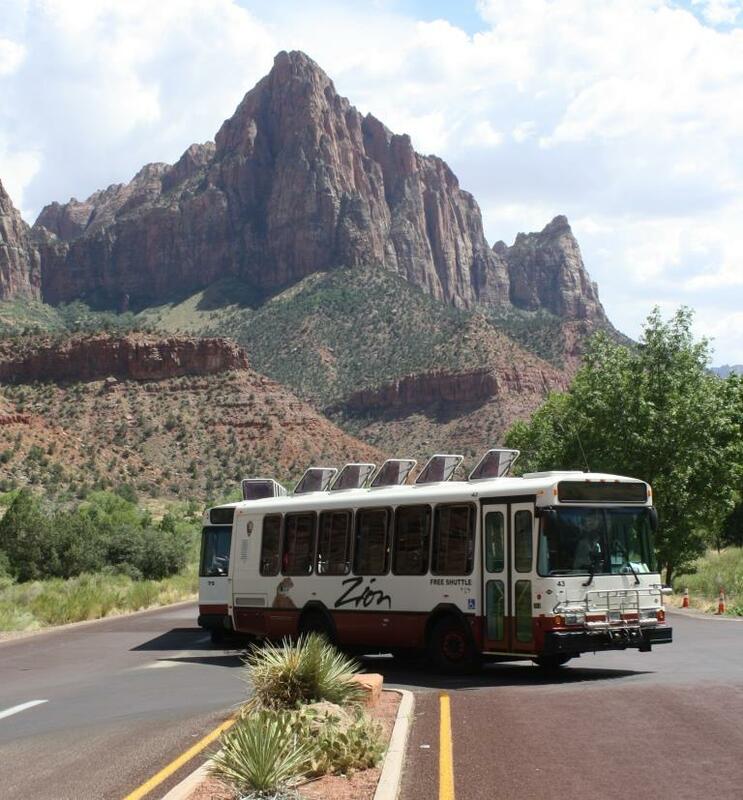 Shuttle service for Zion National Park and Springdale is reduced beginning Sunday for the remainder of its fall season now that the park’s busiest visitation months, June-August, are passed. “Although we continue to break monthly records, fall visitation is lower than summer visitation,” park spokeswoman Aly Baltrus said. Fewer shuttles running also allows time for maintenance on the aging fleet of vehicles. “The time between shuttles will only increase by a few minutes,” Baltrus said. Shuttles will begin from the Zion Canyon Visitor Center at 7 a.m; the last bus will leave the Temple of Sinawava at 7:30 p.m. In Springdale, the first shuttle will leave from the Majestic View Lodge at 8:10 a.m. and the last shuttle will leave from the Zion Canyon Theatre at 7:30 p.m. Shuttle service frequency should be less than 10 minutes. Round trips from the Zion Canyon Visitor Center to the Temple of Sinawava will take about 80 minutes. All shuttle bus operations will end for the season Nov. 26, two days after Thanksgiving, later than in previous years as the park has seen increased visitation over the past few years during its “shoulder” seasons – late fall and early spring. There is no charge for riding the shuttle buses. There are eight stops along the route and visitors may get on and off as many times as they want. Buses are fully accessible; pets are not allowed. Helicopter removal of waste from Scout Lookout and Angels Landing was halted this week when thunderstorms moved into the area. The “helipoo” operations involve using a helicopter to remove toilet waste collected in composting barrels maintained at Scout Lookout on the Angels Landing trail. These operations will resume Tuesday and will cause temporary trail and road closures in the park between 7 a.m. and 1 p.m. while the operation takes place. Flaggers will be stationed on the Zion Canyon Scenic Drive between 10 a.m. and noon conducting the periodic closures which will result in traffic delays. Toilets are emptied by hand and maintained in drum barrels on the lookout which is 1,000 feet in elevation. The operation is typically performed once a year. About 10-15 barrels, each 500 pounds, are hauled out in a day, emptied and replaced later. The work, fondly referred to by park staff as the helipoo operation, reveals a growing challenge to park management. Two evaporative toilets located at Scouts Lookout were installed and designed for use rates of 50 people per day. With current visitation numbers, the toilets are serving nearly 400 people per day. To alleviate at least some of the overuse, visitors are being asked to use restrooms located at the Grotto parking and shuttle stop area before hiking to Scout Lookout. 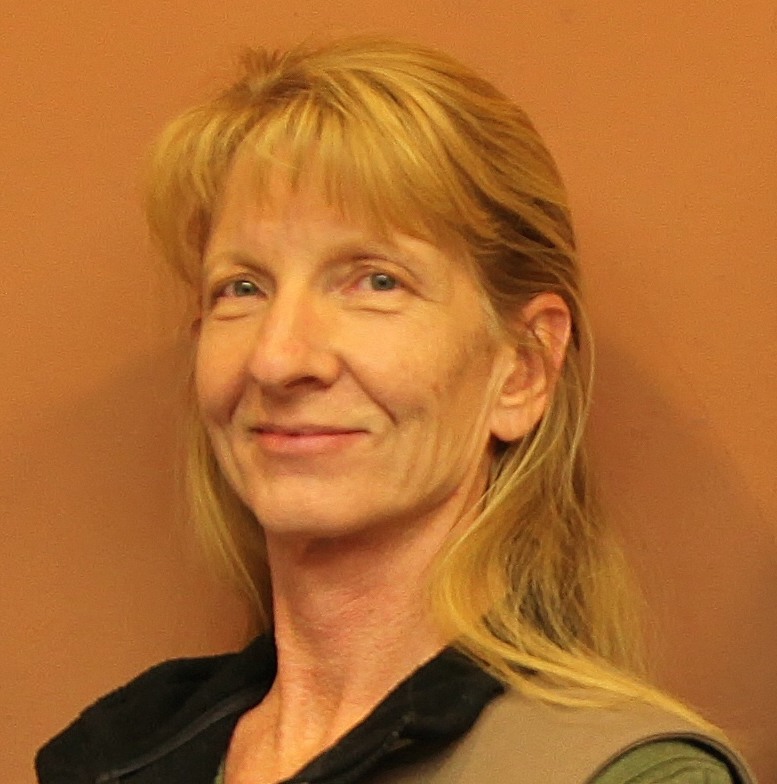 St. George News Reporter Cody Blowers contributed to this report. Ed. 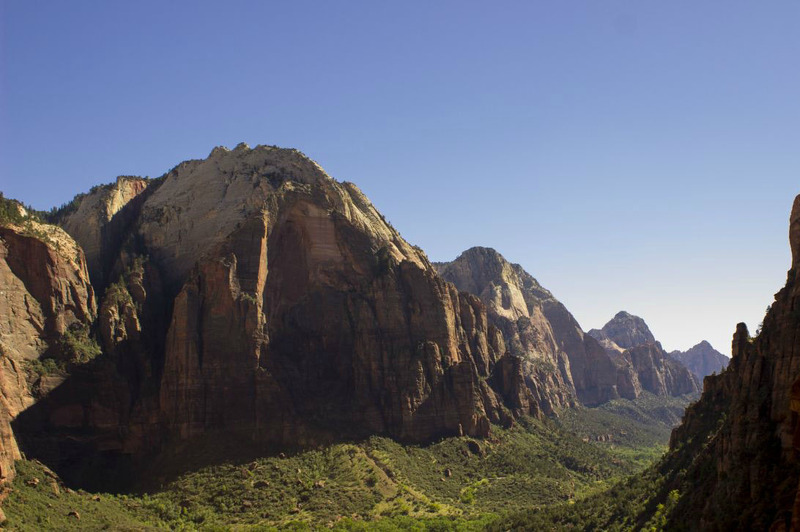 note: Helicopter waste removal at Zion National Park has been rescheduled for Wednesday, Sept. 28.